Today has been a sad day, we had to say goodbye to my dear friend and her family. Her daughter is one day older than Sweetpea and they've 'known' each other since they were five weeks old. They're thick as thieves and see each other at least four times a week. So apart from saying goodbye to my dear friend, I've also been trying my best to help my little girl, who is 'lots of sad, not just a little bit sad' to say goodbye to her best friend (they're moving more than 1000km away). It's really heartbreaking. At 3 years old she can't fully understand what's happening, only that she won't see her friend anymore. We wanted to send J off with a little gift, and after a bit of thought decided on some hair clips (Sweetpeas's idea) and a little purse to hold them in (my idea). Sweetpea choose the fabric and I got to work. I based the purse on a tutorial from Noodlehead Sews. The example in her blog is divine, so check it out. 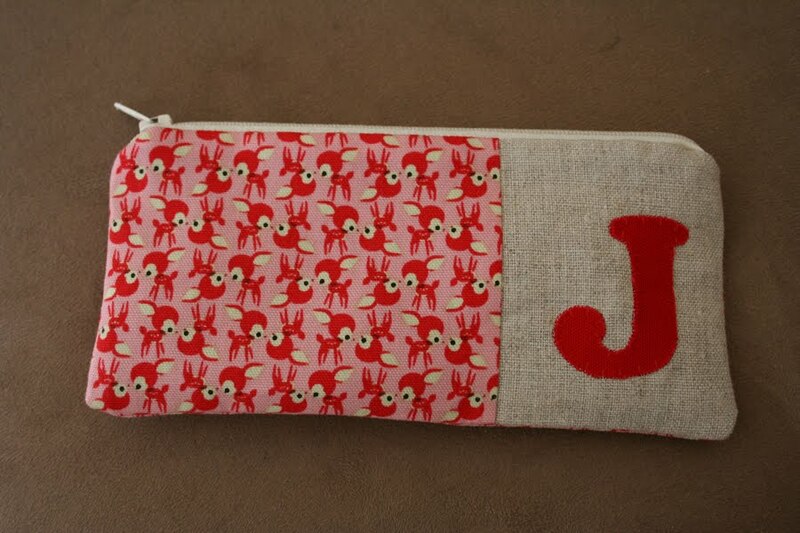 Ours is made using a small scale Japanese deer print, linen, and red canvas for the 'J' applique and lining. 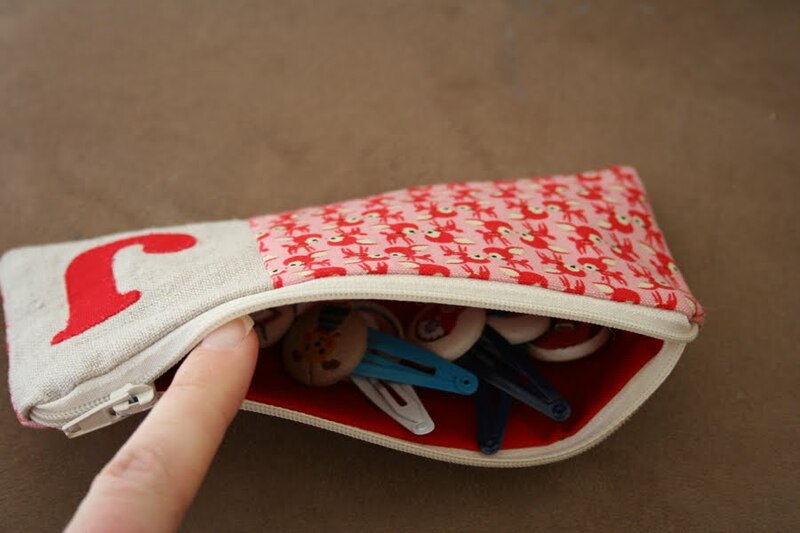 It's very simple and quick to sew. 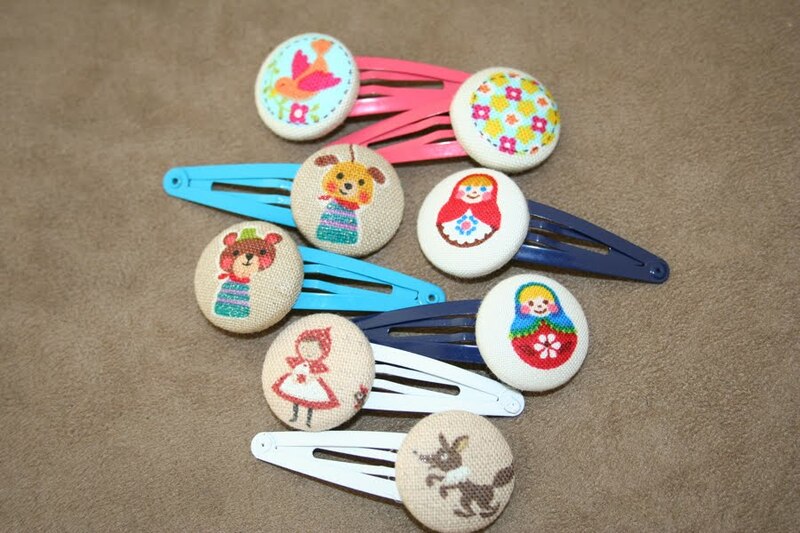 The clips are made using my stash of small scale prints I keep especially for making hairclips. I also bought both girls a storybook about two best friends who move away. So goodbye J, Sweetpea will miss you. And goodbye for now to my dear friend, you know I'll miss you too x. The purse. 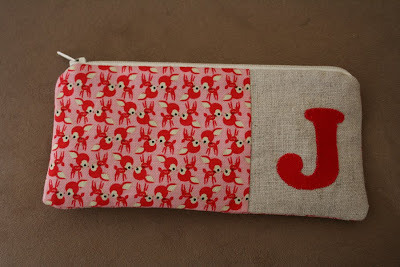 The 'J' applique looks wonky for some reason - it isn't in real life! The clips :) My favourites are little red riding hood and the big bad wolf. That's so sad, but the little purse, hair clips, and book are a great little parting gift. I love those little hair clips! We had the same situation a little over a year ago. And our friends are here visiting us now, and are now planning on moving back within the next year. Hopefully you will get to see your friends often!